So you need a tent but you don’t want to break the bank. Of course, it’s not as simple as just setting a budget because you don’t just need to get the right price, you also need to get the right tent. 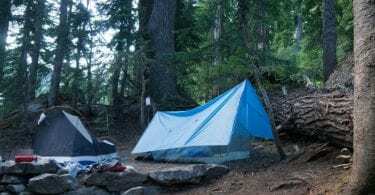 Well the good news is I’ve thought about all the different sizes, uses and seasons to create this list of the best tents under $100. And I’m confident I’ve got a great recommendation for most situations. I wasn’t convinced I’d be able to find a 2 person backpacking tent under $100 that I’d be happy to recommend but Kelty have come up with a very compelling offer. For the price, I don’t think you’ll find another tent that is as light and as compact and as stable and as durable. Easy to set up. Easy to take down. This is one you can buy for the kids, use for scouts, take touring or camping or backpacking. It’s only got one entrance. Generally when you buy more expensive tents like this you would expect two entrances and two vestibules. This simplified design certainly explains why it’s cheaper. What it means for you is that you have to crawl over your buddy/partner/spouse to get in and out. It’s not ideal but it’s a perfectly reasonable compromise given the price. If you are looking for a budget backpacking tent or a cheap 2-person all-rounder I very much doubt you’d regret buying the Kelty Salida. I also carefully considered the Alps Mountaineering Lynx 2 (which you can check out here). I liked it a lot but the Sailda 2 felt like it had at least the same build quality while being a few dollars cheaper and about 1lb lighter. If you can stretch your budget beyond $100, check out my full list of awesome 2 person tents. It’s got two mesh windows which keeps the air flowing and means you’ve got good light and visibility. I also like the awnings at both the front and back of the tent. A gear loft and loads of pockets mean there’s plenty of space to stow your stuff, which the floor plan provides a lot of room for sleeping. My only real issues with this tent are the issues common to all large tents; it’s tall which makes it susceptible to strong wind and it’s heavy, which makes it very difficult to recommend for thruhiking and backpacking. This is a great budget family tent. It’s perfect for the occasion weekend of car camping. A lot of folk seem to buy it for scouts and have fantastic results. This is a 1 person tent with a solid build that keeps out the rain and can stand up to some stiff winds. It's got one door and one vestibules which, in addition to the gear loft and pockets, offers ample storage for bags, boots and gear. There’s no question it’s going to do the job you need it to do in a fair degree of comfort. 1 man tents come in many shapes and sizes (no, really, they do!). This one is a little on the small side, so if you’re over 6ft, or have a heavier build, or just like more space, make peace with the possibility you might feel a bit cramped before buying. There’s also a good chance you’ll experience condensation issues, but I’ve yet to find a tent in this price range that doesn’t have this problem. This is a great budget 1 man tent. The only other tent 1 person tent I really considered recommending for this post was the Luxe Tempo 1 which is actually a interesting alternative, particularly if you are looking for something a bit lighter than the Lynx 1 (it’s nearly 1lb lighter). Also, if you can stretch beyond a $100 budget, you should definitely check out my full list of recommended 1 person tents. This is one of those instant, pop-up tents so it’s super easy to set up. And it’s also easy to break down (which isn’t always the case when it comes to pop ups. It’s big enough to easily fit two adults and you could even squeeze in a child as well. And if you want to use a queen mattress there’s room left over for gear. This is a fair-weather tent in my opinion. If you think conditions are likely to be dicey, you may not have the most comfortable night. If you are just looking for a cheap tent to use a handful of times during the summer or at festivals or in the backyard, it’s a really good choice. It’s very good value and easy to work with. I just wouldn’t recommend it for use in heavy wind or rain. Check out my complete list of instant tents here (for a range of budgets). If you have a small group (3 adults, or 5 kids, or a combination of adults and kids) the Forfar should provide a very comfortable experience. 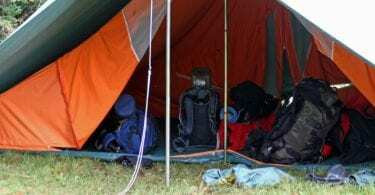 One of its best qualities is the height, boasting a rare six foot clearance meaning most people will not have stoop while they are in the tent. It also has a room separator which is great for privacy. The ventilation is very well thought out. And it’s strong for the price; able to withstand a stiff breeze without flapping or buckling. The directions for assembly are terrible. If you’re used to putting things together you should find the Forfar easy to set up, but it’s going to take some practice if you’re not very familiar with camping. At 7.4lbs it is heavy. That, combined with the height, means that I wouldn’t consider this a good option for backpacking. If you want a tent for backyard camping or casual camping or for kids, this is a really good option. It’s the cheapest tent on this list, so it’s important to manage expectations accordingly. But it does offer great value for money for the right people. If you're looking for more recommendations for a 3 person tent, just click here. This is the other large tent that made the list, rated for 5-6 people. Smaller than the 8 Person AmazonBasics but also sturdier. You’ll definitely be able to take this out in a variety of weather conditions. The 190T polyester material is rated to be 100 percent waterproof and the 2500mm rainfly adds to that protection. The floor is also a bathtub floor which helps to prevent leaks. It’s very roomy, packs down well and is easy to construct. That being said, this isn’t a 4-season tent so don’t expect much comfort in in a thunderstorm or heavy winds. First, the clips that keep the rainfly and tent walls connected to the support poles are not great. And it’s tall enough that the fiberglass poles are liable to buckle under heavy winds. It also only has one door. If you plan on taking a family of 5 or 6 on a camping trip the NTK Cherokee GT may just be the tent for you. Or it would be another great festival tent for a party of 4. If it’s a toss-up between this or the AmazonBasics and you don’t need the extra space the Amazon tent gives you, then I’d definitely spring for the NTK. This is the largest tent we looked at. With a 15 x 9 foot floor space and a 6 foot roof, you should have no concerns about space even if you’ve got a large family. As an additional bonus, this tent also offers various vestibules and a lantern hook so your gear doesn’t have to occupy the whole floor. It all packs up into a really neat bag so it doesn’t take up a lot of room when transporting it. And it’s pretty easy to set up and take down. The poles aren’t great in strong winds; they’re quite brittle and may snap if put under too much pressure.Basically, if you’re expecting the weather to be quite extreme, you might want to think about upgrading to something a bit more sturdy. Finally, the ventilation is a bit of an all-or-nothing scenario. Without the rainfly, the ventilation is actually fairly good. However, once you get the rainfly on, things can get quite stuffy and humid. If you want a large tent for fair-weather camping and want to spend less than $100 this will work for you. I can see larger families really enjoying this. And, although you probably won’t get 8 adults in comfortably, it’s a great option as a festival tent. When buying a tent for less than 100 bucks you’re going to have to make compromises about quality, durability and, potentially, weight. I’ll go into more detail below but just in case detail isn’t your thing, I want to highlight a few common challenges you’ll likely encounter with budget tents. Every tent manufacturer will claim their product is waterproof (they’d be crazy not to, right!). But the reality is that at the cheaper end of the market this is one of the areas where savings are made. If you don’t do some extra waterproofing, there’s a good chance you’ll regret it. So you should absolutely buy some proofing spray (I always use Nikwax - which you can buy here) and apply an extra coat yourself before heading out camping. This is another area where investment is usually quite light. And that means in many models you risk water coming in or tears in the fabric. The solution is to use a tarp or a tent footprint. Yes, it’s going to cost you a bit more but at the end of the day you want to enjoy yourself so you’ll need to find your own balance between budget and comfort. For each tent I’ve recommended a matching footprint. This is a common complaint in cheap tents. But you just aren’t going to find heavy duty zippers in tents under $100. There’s a slight risk of the zippers breaking but the main issue is that cheap zippers are prone to being fiddly and getting stuck. It is annoying but it’s just something you are going to have to live with when buying a tent in this price range. How important is the weight of the tent to you? What weather are you expecting? What type (shape) of tent should you look at? Do you want a summer tent? A 3 season tent? Or a 4 season tent? Summer tents are really focussed on ventilation and keeping out insects. I haven’t recommended any in this article because I believe you get better value and flexibility from a 3-season tent. 3 season tents try to balance the need for ventilation, insect protection, and warmth. Unless you’re planning to camp in the cold, it’s really your go-to option. If you’re going to be out in dry, hot weather, you can always remove the waterproof fly to provide more ventilation whilst keeping the insects at bay. 4 season tents tend to be more durable than 3 season tents and have a greater focus on warmth. But the reality is you won’t get a true 4-season tent in this price range, so I haven’t included any below. What Shape Tent to Buy? Dome tents are probably the most popular shape these days. They are free-standing (more of which below). You get fairly decent floor space and headroom. And they have great stability, especially in the smaller models. All my recommendations on this list are dome tents. Tunnel tents are worth considering as a backpacking option although it’s hard to come by good ones for under $100. They are exceptionally stable when pitched facing the wind but become unstable if pitched sideways. They need to be staked out (they aren’t freestanding). And they lack some of the headroom of dome tents. However, they are a fantastic lightweight option and you get a lot of vestibule space for stowing your gear and cooking. A-Frame or Ridge tents are the classic triangular shape you think of when you imagine scout tents. They are now massively out of fashion and I haven’t recommended any here. But if you decided you wanted a tent that was stormproof, you might consider buying one. How Many Times Do You Want to Use It? Are you looking for a tent that will stand the test of time? Are you planning a single use? If you answer yes to either of those questions, my recommendations probably aren’t going to be right for you. If you want something really durable then you’re going to have to increase your budget. And if you want a throwaway tent then there are definitely cheaper options available than the choices above. But if you’re looking for a tent that will stand up well to occasional use, there’s some great options here. Depending on why you need a tent, weight is either going to be a primary concern or an afterthought. If you’re backpacking then weight will be paramount. If you’re going camping with a large group of people (and especially if you’ll be taking a vehicle), then it’s far less of an issue. Just bare in mind that weight + durability + stability = dollars. When budget is your over-riding consideration, then I strongly recommend compromising on weight. Yes, carrying weight is uncomfortable. But it’s a lot less uncomfortable than having a shelter which lets in the elements and the insects! This is another issue that will have more to do with your specific context than anything else. 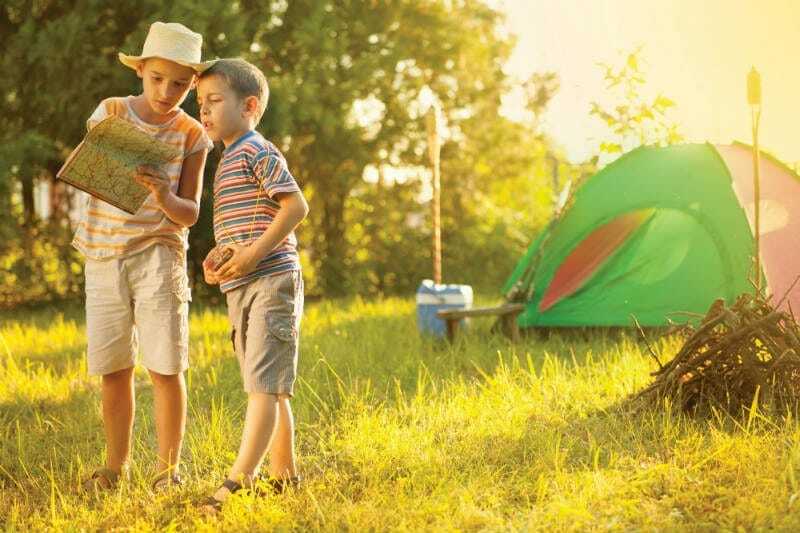 Basically, if you are camping with a large group or a family, you’ll want a tent with more space. Conversely, if you are hiking, space is likely to be something you’ll be willing to compromise on. Just be aware that in this budget range, the bigger your tent is, the more you’ll be compromising on durability and stability. So if you’re expecting weather, you might want to consider spending a bit more. (Weight doesn’t matter as much because if you’re walking, you can always split the tent between different people).